I saw this update published last week, which suggests that Apple CarPlay and Android Auto are here for a range of JLR models including the E-Pace! My car was at the dealership today anyway, so I asked them to install the latest updates. They didn't seem to think it was a problem. I had a call from the dealership this evening to say that the update had broken my "main computer". They have asked JLR for assistance, which may take a few days. If they can't fix it, they'll have to replace the computer. It might be worth waiting a few weeks or months whilst they get these issues ironed out before speaking to your dealership! What do you mean by "the update broke the main computer"? Nothing's working anymore? Will it be updated for all models? I have the entry level model - picked it up yesterday and I'd love to have Android in it. Unfortunately, that's all I know! They say they can't hand the car back in the current state. They're looking for a replacement computer, but don't know how long it'll take. This is so sad. A great brand and “they” made such silly errors. Good news! My dealership have successfully replaced the "main computer". No, I didn't have the web browser before. It works well, but I'm not too sure why I'd use it. I posted the following in the Jaguar Customer Relations part of this Forum. Perhaps other postings asking Tracie might wake Jaguar up. I am a Brit living in Luxembourg and a potential E Pace customer. I am very confused about the availability of Apple and Android play. 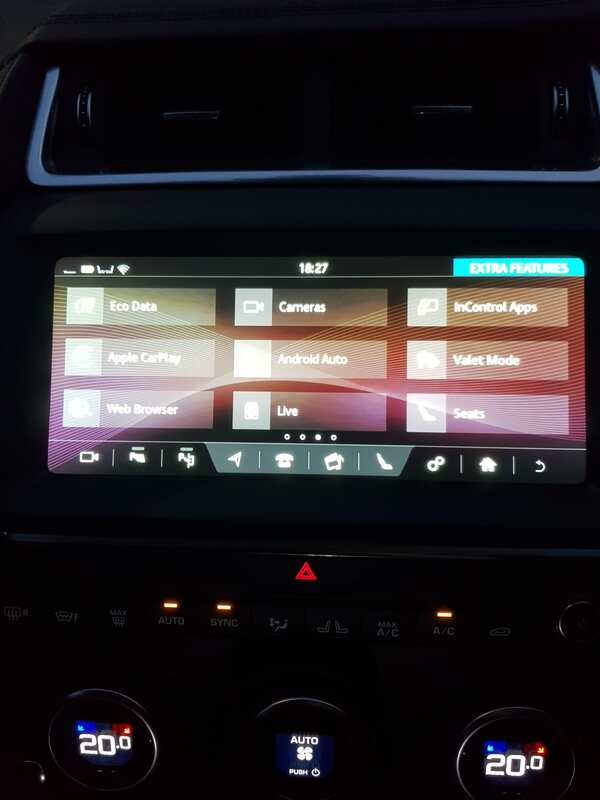 The forums are full of this confusion and I don’t want to find I have ordered too early (if I order) and find that an infotainment system that many give poor ratings on will not have those updates mentioned. On the 9th of October the salesman “thought” that Apple car play would become available sometime in 2019 at EXTRA COST and had no information on Android car play. I will be visiting the dealer (there is only one) on Monday and hope he has better information.